Billy Monger has set his sights on competing in the FIA F3 Championship next year, and carried out extraction tests with the halo in Abu Dhabi last weekend. German Formula 3 racer Sophia Floersch has announced that she is flying home on Monday, eight days after her horrific crash in the Macau Grand Prix. The car which will be used in the new FIA F3 Championship – which replaces GP3 on the Formula 1 support package – has been revealed, complete with DRS and a halo. Formula 1's Grand Prix Drivers' Association will discuss Sophia Floersch's horrific Macau Grand Prix Formula 3 accident with the FIA, with Romain Grosjean saying it exacerbated concerns about 'sausage' kerbs. 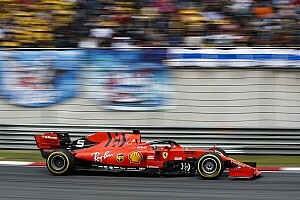 Ferrari junior drivers Robert Shwartzman and Marcus Armstrong are tipped to remain with Prema Powerteam for next season’s inaugural FIA Formula 3 Championship. 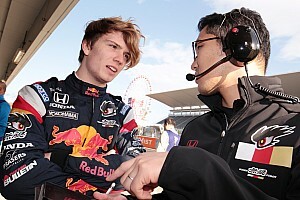 Double Macau Grand Prix winner Dan Ticktum thinks it is ‘absurd’ that his Formula 3 team Motopark has not been given an entry to the new Formula 1-supporting F3 series. Sophia Floersch's team boss Frits van Amersfoort believes the nature of the Macau circuit was not to blame for the horrific accident she suffered on Sunday. Sophia Floersch has undergone a successful seven-hour operation on the spinal fracture she suffered in her horrific Macau Grand Prix crash, doctors have confirmed. Sophia Floersch’s horrifying accident in the Macau Grand Prix left the motor racing world in shock. 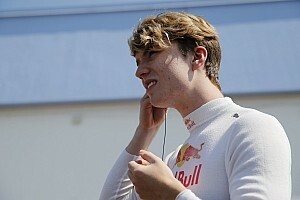 Red Bull Junior Dan Ticktum took victory in the Macau Grand Prix for the second successive year after a crash-marred race. The Macau Grand Prix has been red flagged following a huge accident involving German driver Sophia Floersch. 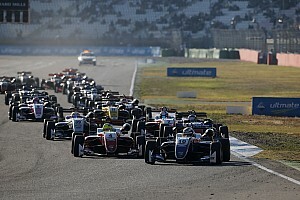 Macau Grand Prix qualification race winner Dan Ticktum says he was worried about the threat from Motopark teammate Joel Eriksson on his way to victory.